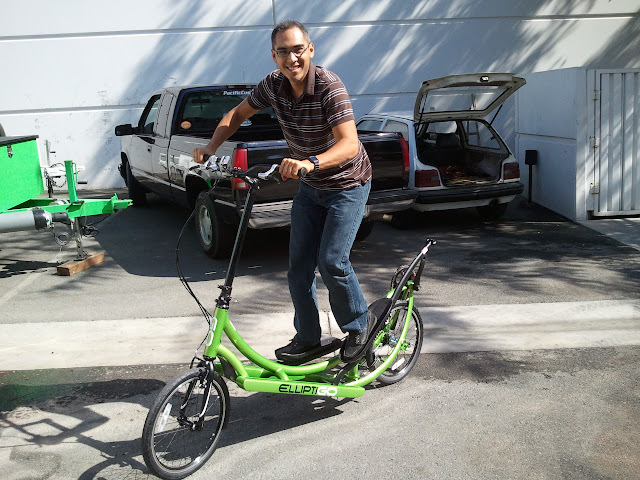 I had the opportunity to ride an Elliptigo the other day. It was pretty awkward, weird, unnatural, but unusually fun. I am not ready to ditch the my traditional bikes for it, but it was something different. Annette from GlendoraMtnRoad.com has posted this link for years, The Original Treadmill Bike.